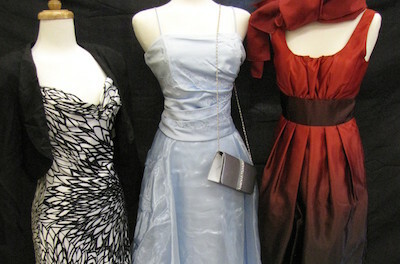 Prom dresses on display at the Sister to Sister Prom Shop at Project Self-Sufficiency. SUSSEX COUNTY, NJ – Although it is still winter, prom season is just around the corner and many teenage girls are already making plans for their special evening. However, given the current economic climate, not every family will be able to afford fancy dresses, shoes and accessories for their teens. For those who are unable to afford a suitable dress for the occasion, Project Self-Sufficiency will be hosting their annual “Sister-to-Sister” Prom Shop during the spring. 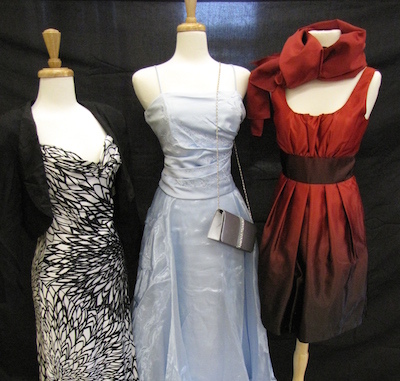 The prom shop offers free new and gently-used formal wear to teens. Gowns and accessories are displayed in a boutique-like setting, and girls are invited to select shoes, wraps and jewelry to complement their dress. The agency is currently seeking donations of new and gently-used formal wear, including prom dresses, bridesmaids’ dresses, gowns for mothers-of-the-bride, evening bags, jewelry, wraps and shawls, as well as shoes in good condition. Dresses must be dry cleaned and on a hanger. Donations will be accepted Monday – Thursday, 9:00 a.m. – 8:00 p.m., and Friday, 9:00 – 4:00 p.m. Those who are unable to make a donation during these hours are encouraged to call the office to make special arrangements. Donations are requested by March 27th, so that the items can be properly arranged for display. However, formal wear will gladly be accepted through the duration of the Prom Shop, if necessary. Project Self-Sufficiency is located at 127 Mill Street in Newton. For information about the Sister-to-Sister Prom Shop, or to find out more about any of the programs at Project Self-Sufficiency, call 973-940-3500, or visitwww.projectselfsufficiency.org.